Youth and Junior athletics is at the very heart of our club and we take great pride in each athlete’s achievements regardless of their ability. As a coaching team and club our main objectives are to ensure that each youth/junior has fun, builds confidence and has full coaching support as they develop year on year. As a coaching team we consider it important that each youth and junior athlete develop a knowledge of athletics and they are encouraged to take part in a number of different athletic disciplines across track/field, road running and cross country. All youth athletes are encouraged to take part in a range of athletic disciplines whilst the athletes develop and mature physically. The youth section is split in to four competition age groups U13/U15/U17/U20 for both girls/boys and across these age groups there are a range of track and field events which are age dependent as specified by UKA. As the athletes move through the age groups the coaches will work with each athlete to focus on specific events. To assist with event development, the youth section travel to Costello Athletic Stadium each Tuesday evening 6.30 to 7.30PM to train on the track, or use throwing circles and high and long jump facilities. This age group is about having fun, building confidence, increasing fitness and making new friends. The coaches get the junior athletes involved in a number of athletic activities which will develop running, jumping and throwing skills. Training is an important part of athletes development to improve fitness, event development and confidence. To ensure that each athlete receives the right amount training, the coaching team takes account of all physical activities each athlete does outside of the club i.e. School Sports teams and local dance, football, cricket clubs. Training sessions are held at Baysgarth School every Thursday (unless otherwise notified) at 6.30PM and last for a minimum of one hour. Each session is split into youth & junior section sessions. During the winter the groups train in the Baysgarth School gym (youths) and sports hall (juniors). During the summer both age groups will share and train on the Baysgarth School sports fields. 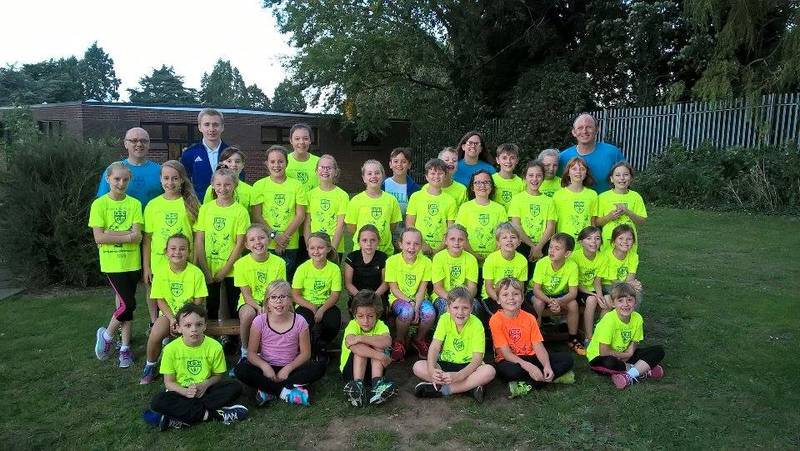 Youths are not permitted to run with Senior Road Runners on a Thursday Club Night UNLESS they are pre-authorised by the Youth Coaches (Mark Ding or Julie Franks) as part of their development. Throughout the year the club attends a number athletic track & field events, cross country and park runs which include club, team, county and national level. The club now has to two new welfare officers Paul Horsewood and Juile Franks. If you have any problems please let them now.